One of the biggest challenges expats face is finding and maintaining high quality medical care. While Medihoo can help you find the right care it’s always a good idea to maintain an up-to-date copy of your medical records so new care providers have easy access to your medical history. Your medical records should contain basic info like name, date of birth, insurance numbers and the names and locations of your general practitioners. Ask your doctor for your full medical history. It is possible he will charge you to produce these records and it will take time. So ask well in advance, preferably in writing. The problem with finding good health care is that it always needs to happen when there’s a problem or emergency. To avoid stressful situations, it is best to know beforehand where the best medical professionals in the city you are relocating to can be found. The local embassy can help, but in a pinch medihoo.com can help you find good healthcare. Research local illnesses, diseases and health warnings. Leishmaniasis? What? There are many obscure diseases in the world and while you shouldn’t visit webmd too much for fear of becoming a total hypochondriac, it is a good idea to do some research on the most prevalent health issues in the country you are relocating to. The US Center for Disease Control and Australia’s Smarttraveler site are good jumping off points for destination-specific information for people working and living overseas. Every home should have a well stocked First Aid kit. You can buy these anywhere, but we consider the family deluxe kit from Red Cross America to be the gold standard. Find the contents here. Make sure your first aid kit is up-to-date and that everyone in your household knows where it is and preferably how to use it. It’s cliché. But eating healthy and getting lots of exercise goes a long way. Combine that with an annual check-up and you should be good to go. When living abroad you should keep track of your health: make note of changes, schedule annual check-ups for you and your family well in advance and make sure you know where to go when problems arise. Medihoo.com is a totally free service to connect you with good health-care providers. Visit us and help us share good care! All travelers have certainly been confronted with this topic at one time or another. We all want to be polite and act courteously. We all wonder from time to time, what tip should I give in a Restaurant / Bar …. Wanna know what travelers think and say about traveling? 1. Roll your clothes instead of folding. This saves 3X more space. Here’s a nice video on how to pack like a pro. 2. When you’re traveling with another person, sit in aisle and window seats leaving the middle seat free. You’re more likely to travel with an empty middle seat all throughout, since people generally avoid the middle seat. 3. When packing liquids, open the lid and insert a plastic wrapper in between. 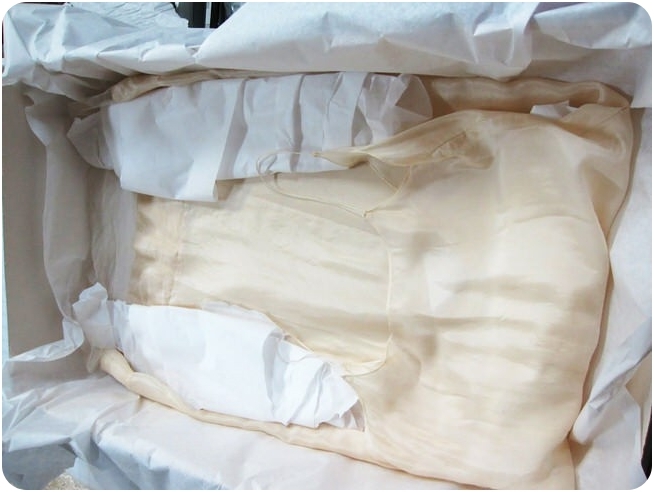 Tighten around the plastic and the contents are less likely to leak. 4. 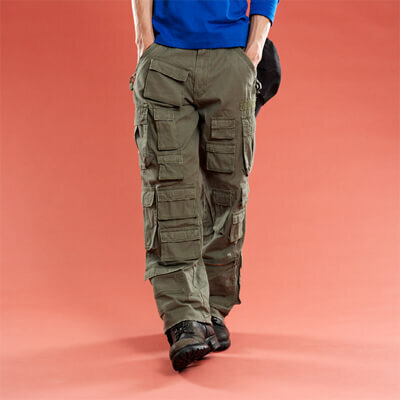 If you have lot of stuff to carry wear cargo pants. You can use the pockets as mini luggage! 5. If you have lot of things to carry, consider wearable luggage. 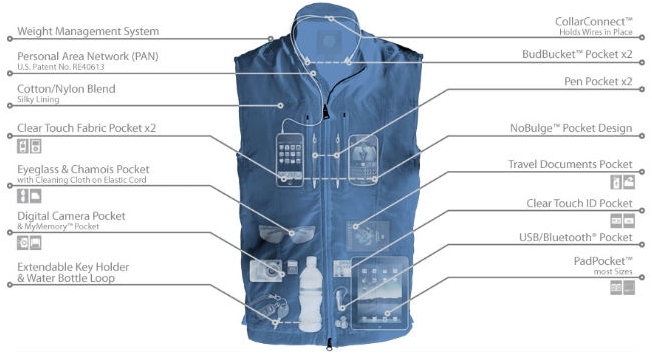 There are special travel jackets like this one that can hold a ton of stuff! 6. 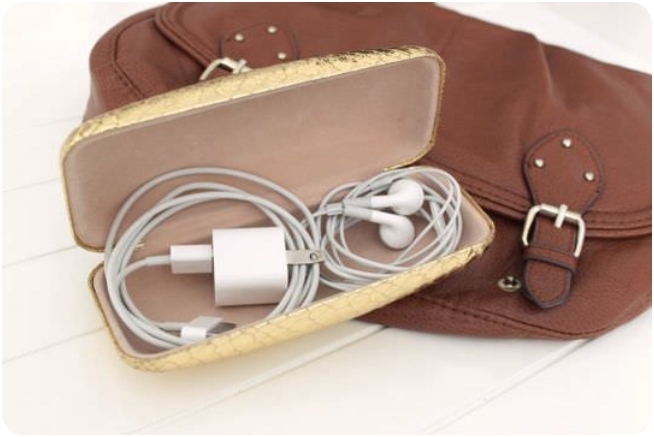 Pack your charger and headphones neatly inside a hardshell glasses case, so the cords don’t tangle. 7. 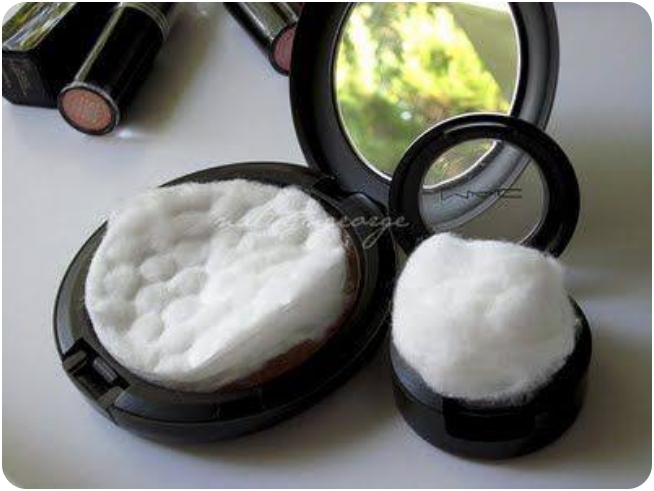 When packing, place a cotton swab inside blush, eye shadow, and powder foundation so they don’t crack. 8. 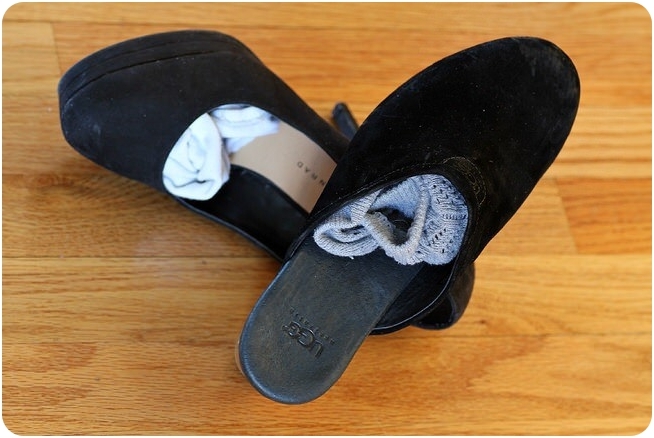 Put rolled socks inside your shoes to save space, and to preserve your shoes’ shape. 9. 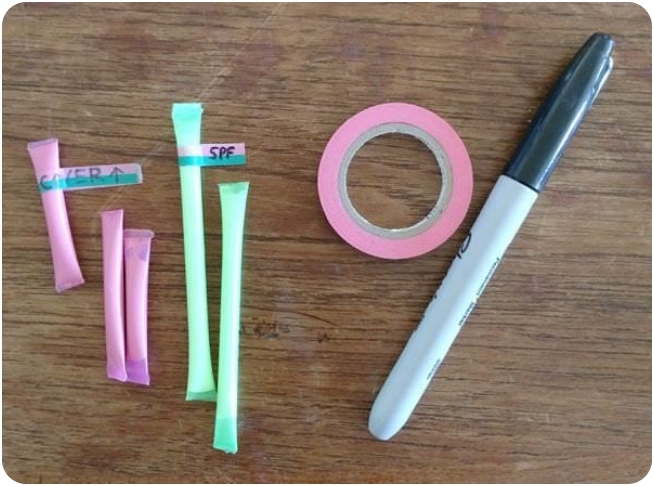 Pack liquid items inside small straws and add little labels. 10. 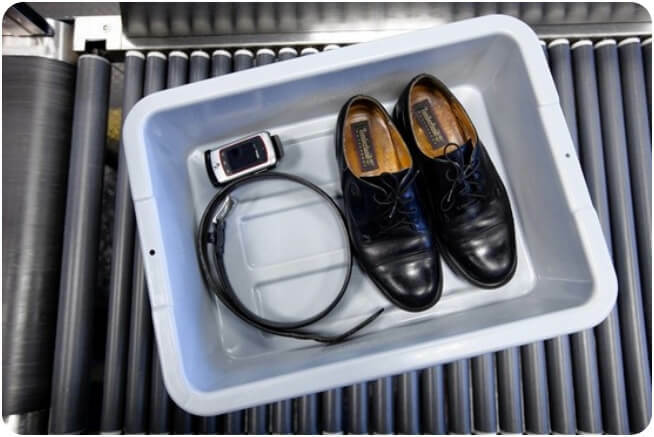 If you run into unexpected wet areas while traveling, use bees wax to waterproof your shoes. 11. 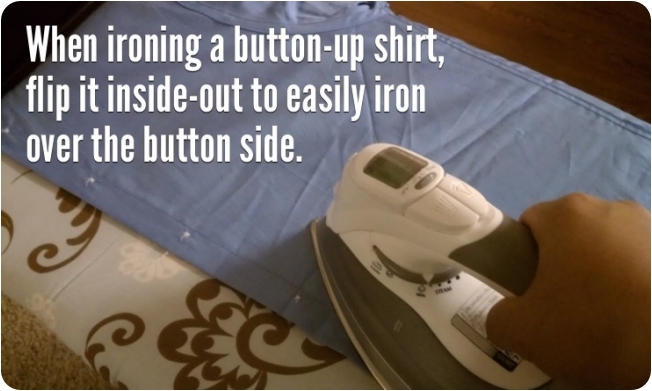 When ironing a button-up shirt, flip it inside out to easily iron over the button side. 12. 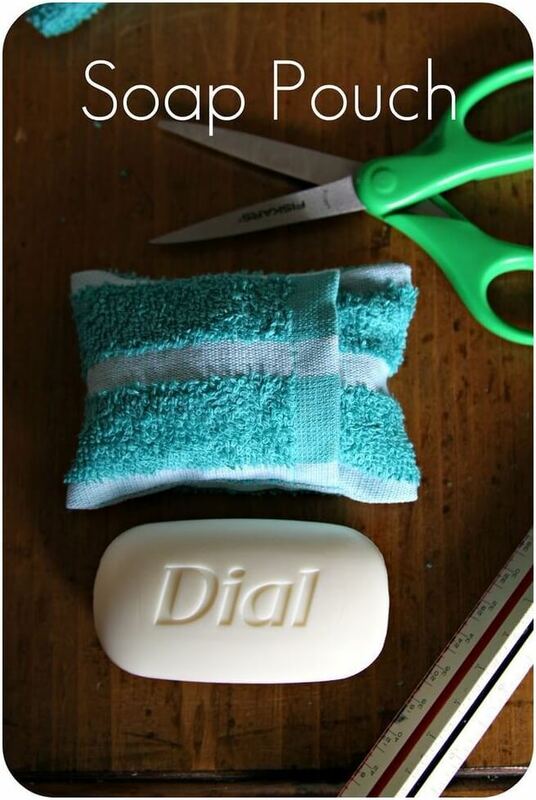 Wrap bar soap in a “soap pouch” so that as it dissolves, it doesn’t break into little unusable pieces. 13. 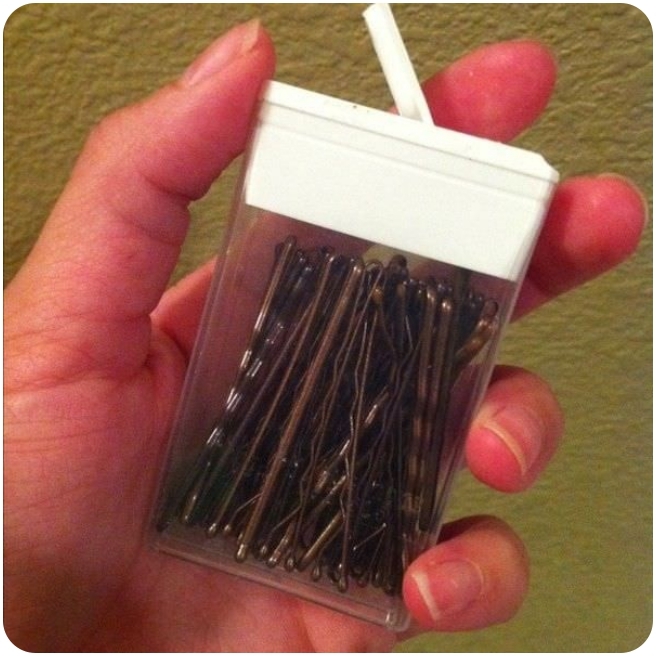 Use old Tic-Tac containers to store small things like safety pins and hair pins. 14. 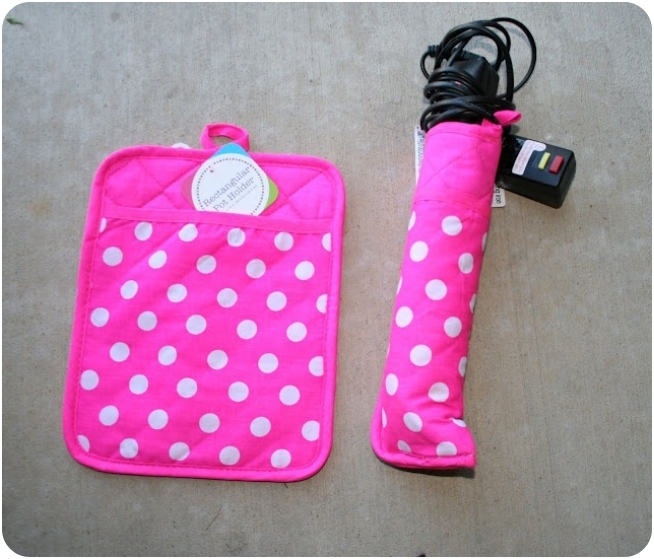 Use a heat pad to wrap up your iron, so both it and your belongings are protected. 15. 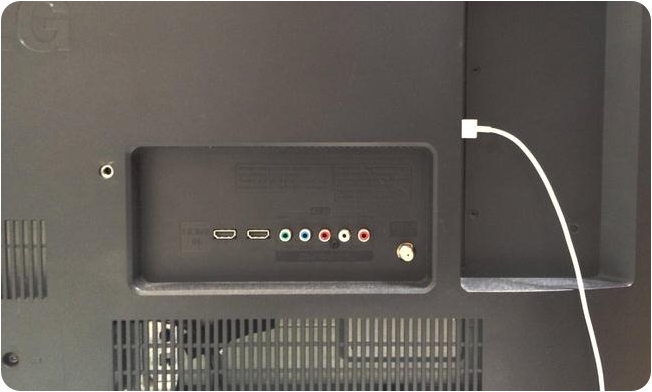 If you forgot to bring a phone charger, use the USB input on the back of your hotel room’s TV. 16. 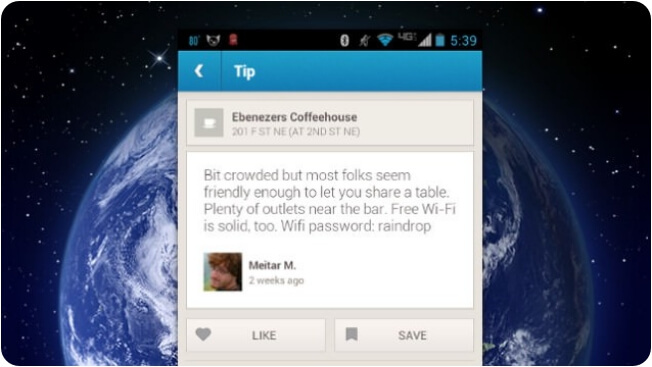 While at common WiFi hotspots, look at FourSquare/Yelp reviews/comments section for WiFi passwords. 16. 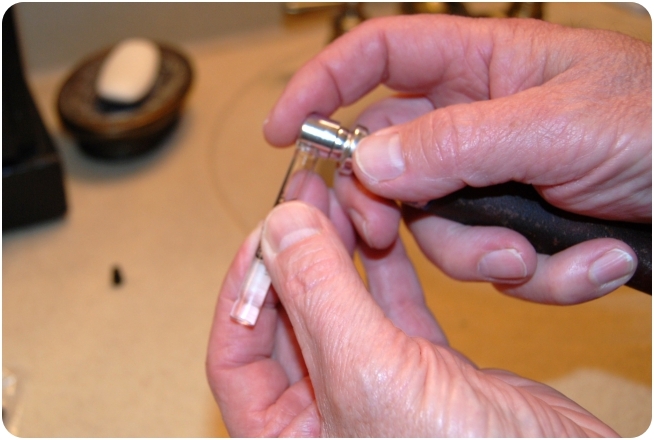 To keep your ironed clothes from wrinkling insert a sheet of filter paper in between. 17. While traveling with babies on planes, carry baby carriers or buy this cool little hammock. 18. 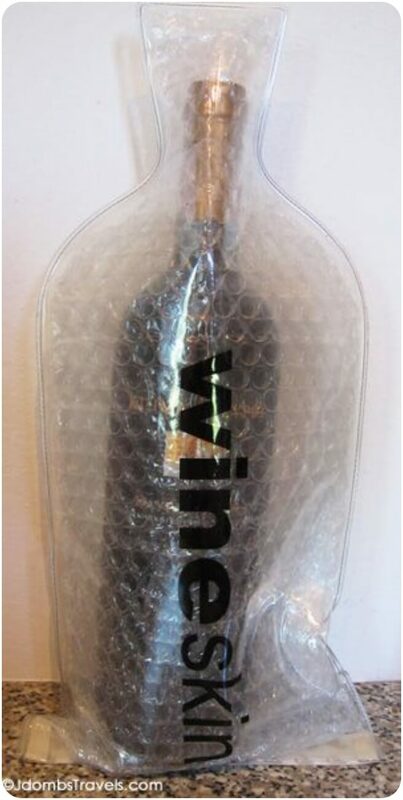 When carrying wine or alcohol, use a bubble wrap to keep the bottle from breaking. 19. While at the airport terminal, do not go for the closest line for the bathroom. Try one few steps beyond, or in a less trafficked part of the terminal. 20. 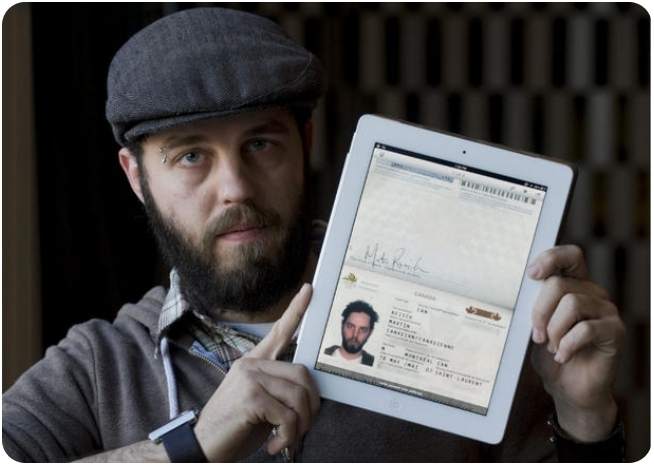 Scan your important documents (like your passport) and email it to yourself, just in case your luggage gets lost. 21. 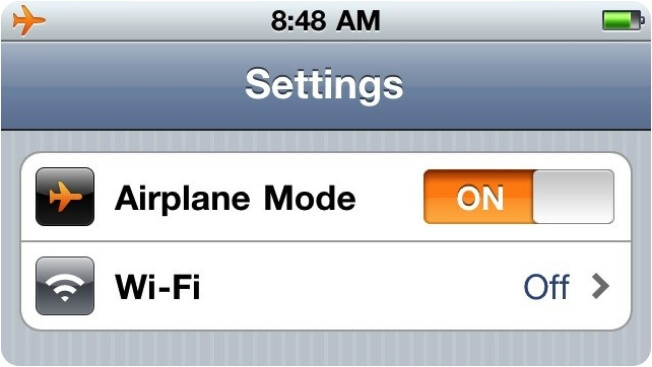 Turn on the Airplane mode on your phone when you want to save battery charge. 22. 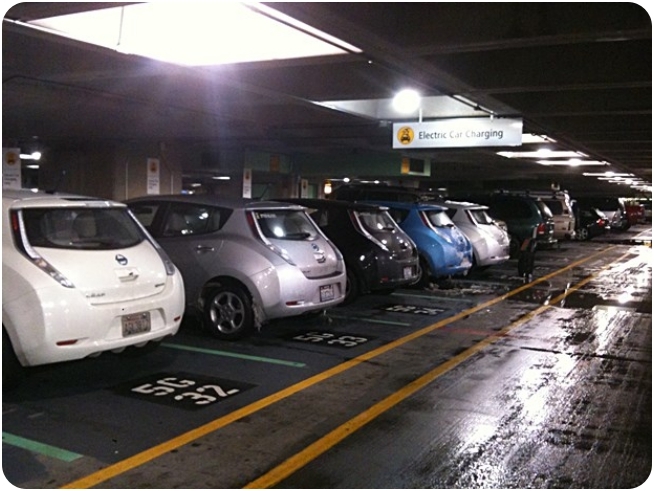 Take a snap of where you parked your car before entering the airport. You’ll thank us when you return from your trip! 23. 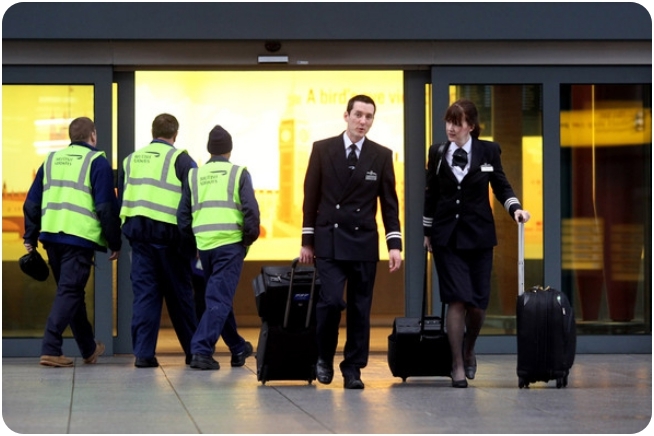 When looking for directions, try to follow the flight crew at the airport. They often know the best restaurants and the shortest ways to exits. 24. 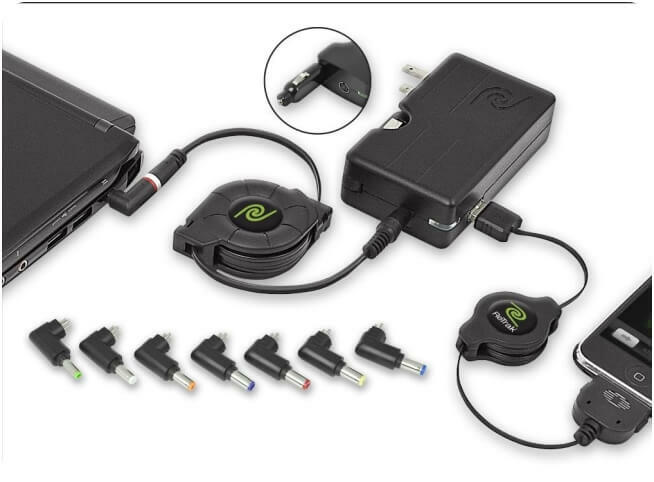 If you use a lot of gadgets, get a universal charging station/US joint like this one. 25. 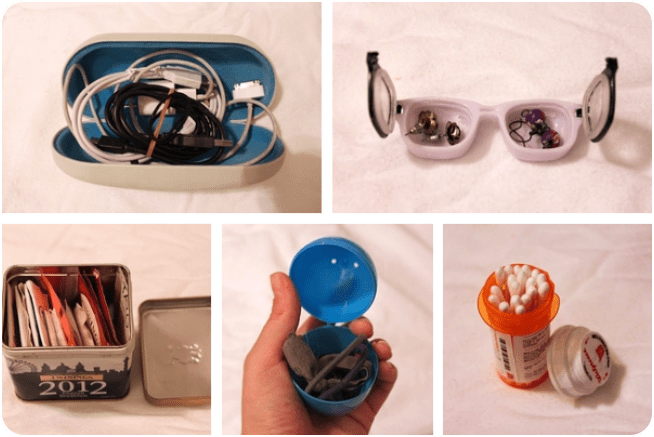 Use small boxes like pill bottles to keep small stuff. 26. 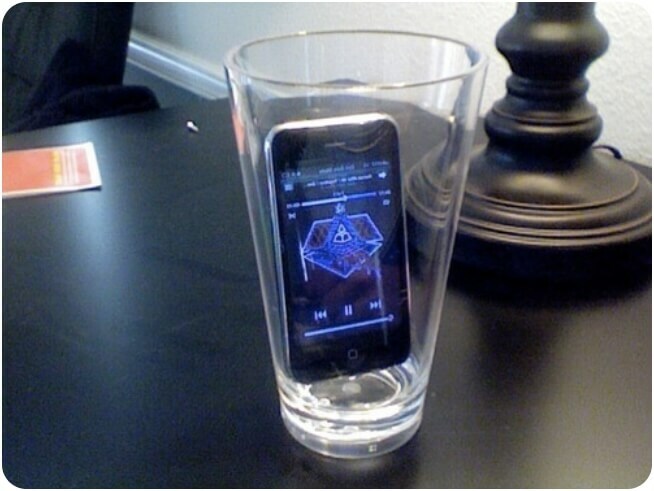 When you’re in a noisy area and you want to enjoy music without headphones, place the phone or MP3 player inside an empty glass. It doubles as a loudspeaker. 27. 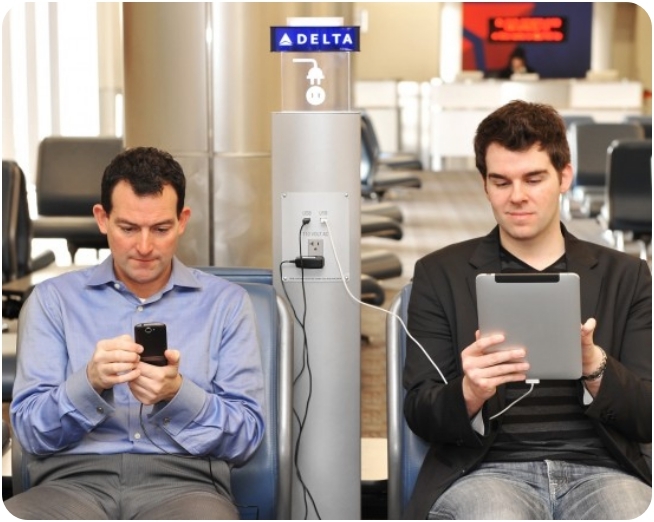 At airport terminals, find charging stations and plug in your devices whenever you have a layover. 28. 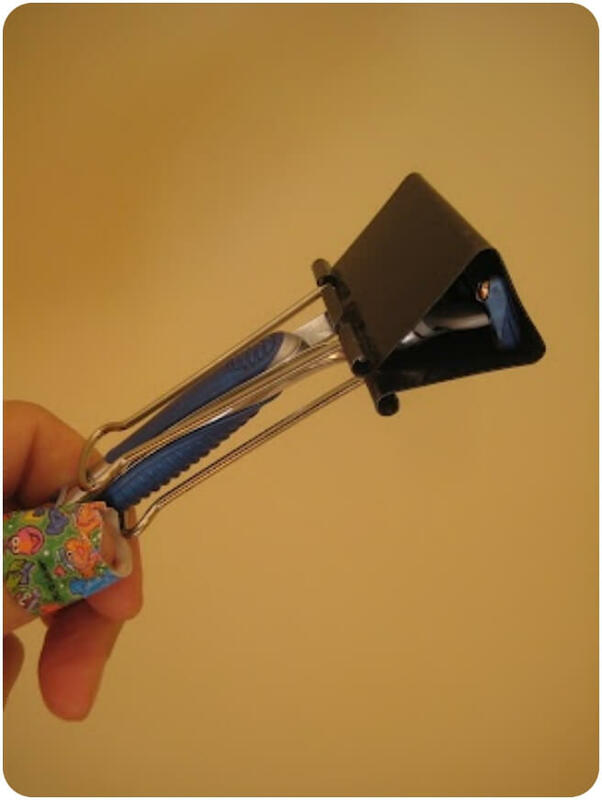 Use folder clips to secure sharp objects like your shaving razor. 29. Taking big bottles of perfumes is a bad idea. Instead, transfer your perfume to small sample bottles. 30. 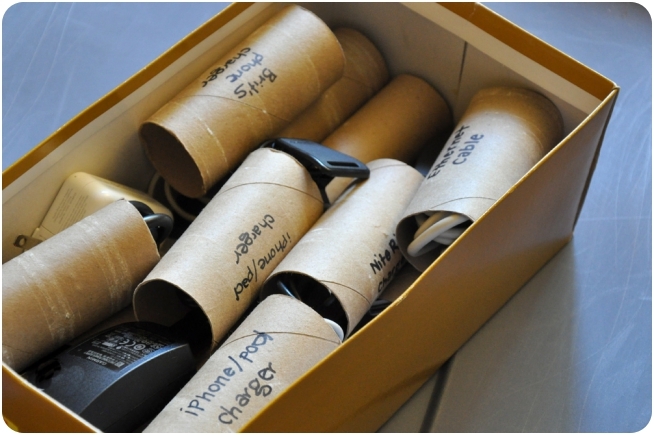 Place device chargers and wires into separate paper roll stubs and mark them appropriately. 31. 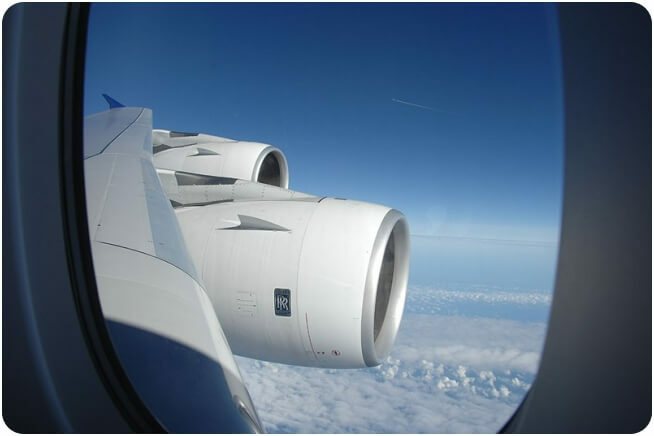 Sitting next to the window will help you enjoy a turbulence free flight + you can enjoy the view. 32. 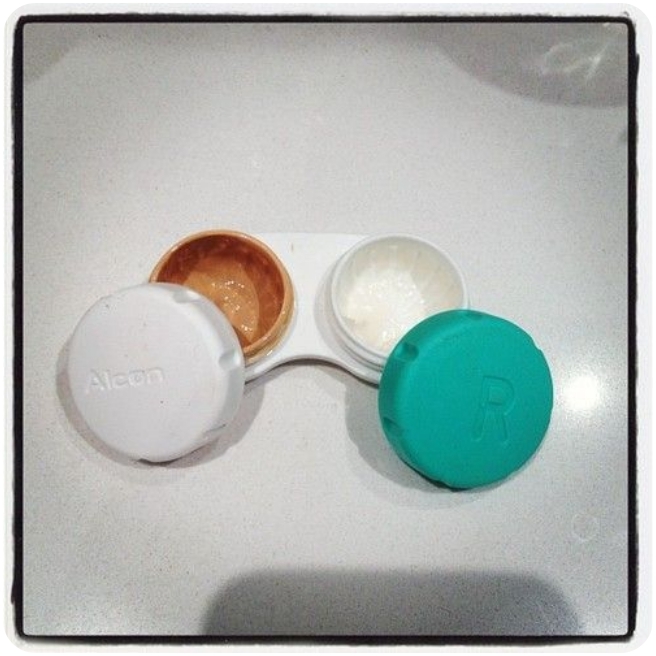 Use old contact lens covers to store liquid makeup, lotions, and creams. 33. 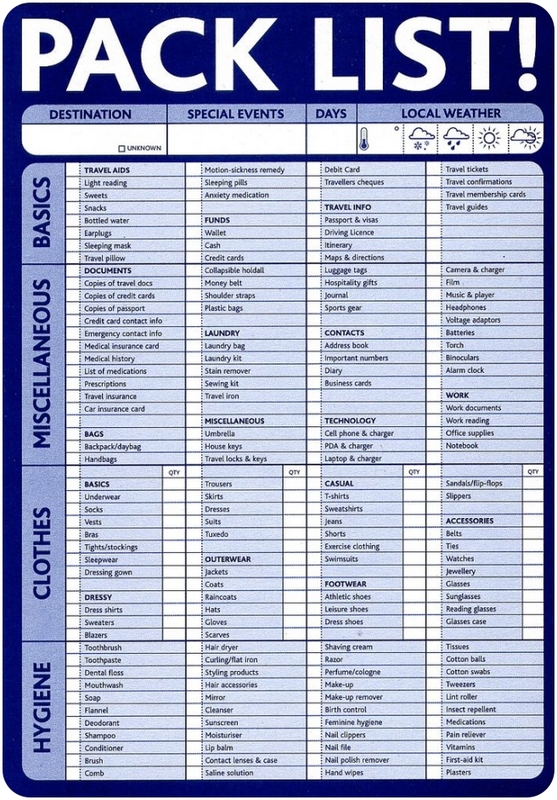 Always cross check and keep a list of items to pack, like the downloadable list below. 34. 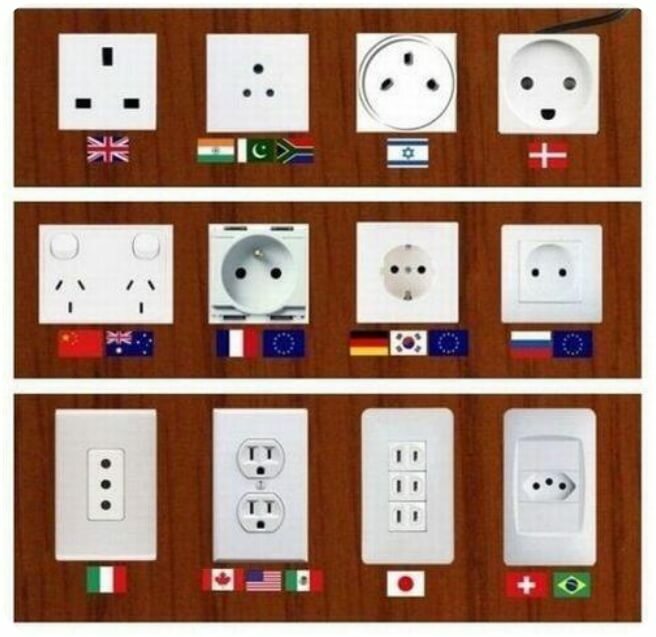 When traveling internationally, different countries have different plug points. 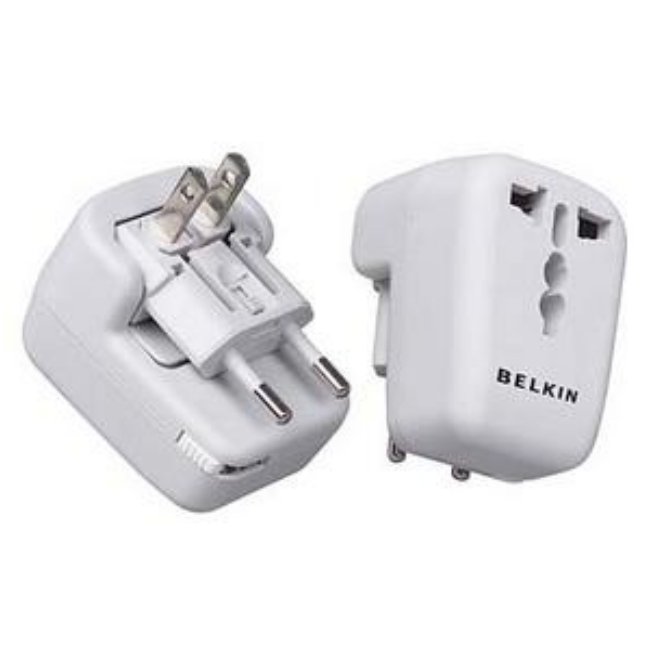 Use a universal adapter to fit your electronic devices. 35. 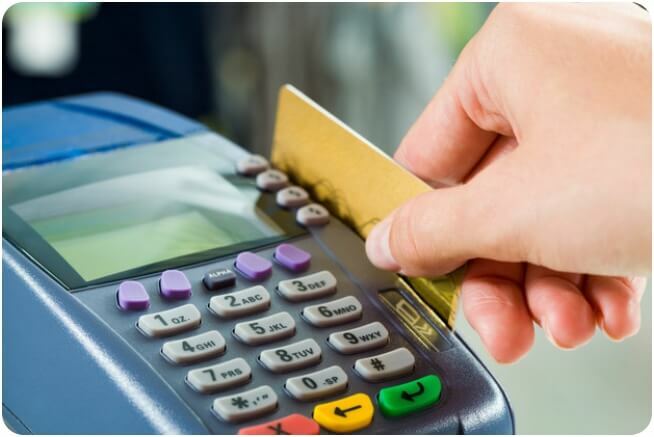 Call your credit card company before traveling abroad so they don’t lock down your account due to suspicious activity. 36. 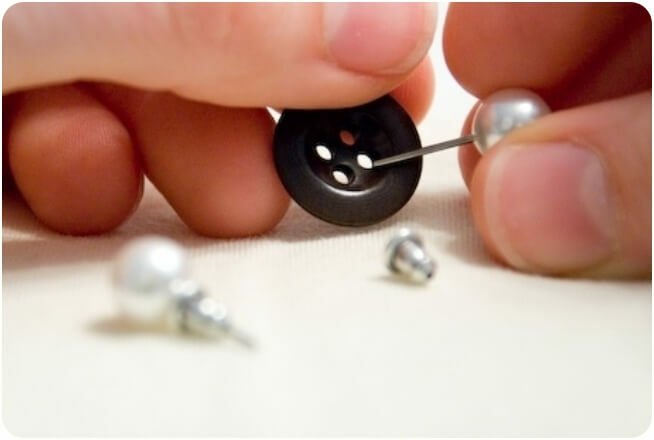 Use buttons to safely pack ear rings/studs. 37. 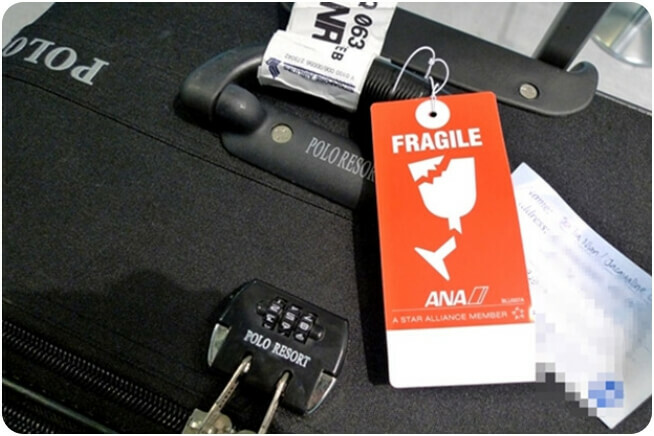 Request to mark your baggage asFRAGILE so they always end up on top of other bags while in transit. 38. 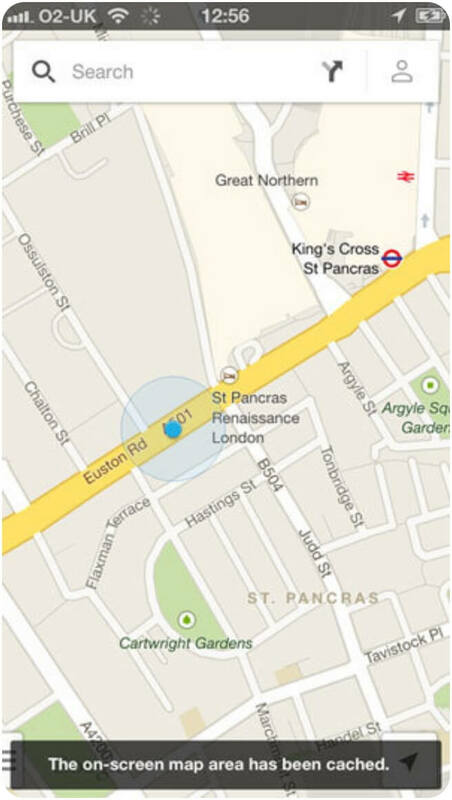 When traveling to places unfamiliar, download Google maps offline prior to the trip. Here’s how you can do it. 39. 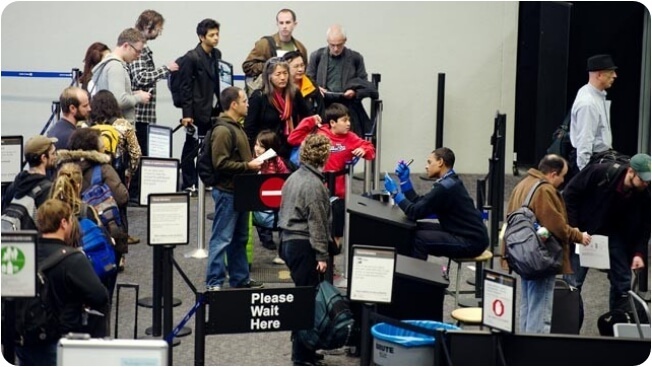 When waiting at security checks, try to avoid the line that has people looking less like frequent travelers, like families with kids and foreign tourists. If you’re with the bunch that looks more like a frequent traveler (business suites etc), you’re likely to pass the security check faster. 40. 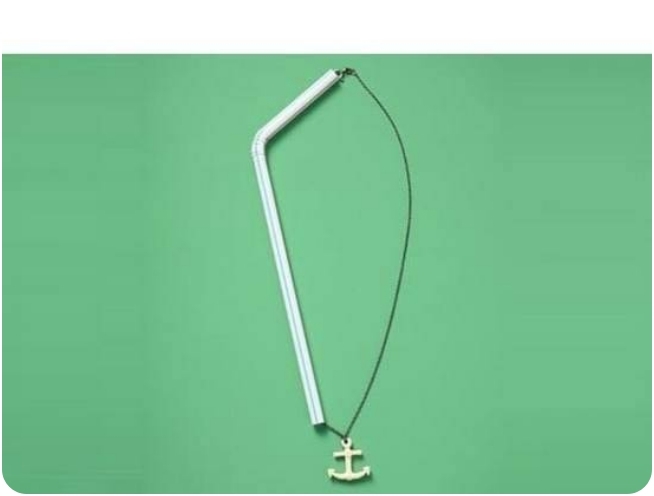 Use straws to pack your jewelry, so they don’t end up a tangled mess. 41. Insert a rolled up belt in the shirt collar, so it remains crisp and stiff. 42. 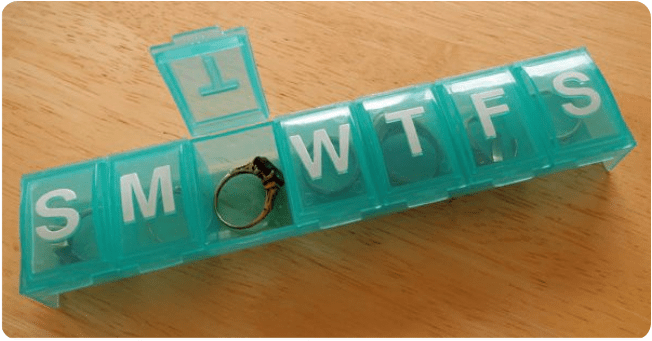 Use a medicine box to pack small items like rings, cuff links, and earrings. 43. 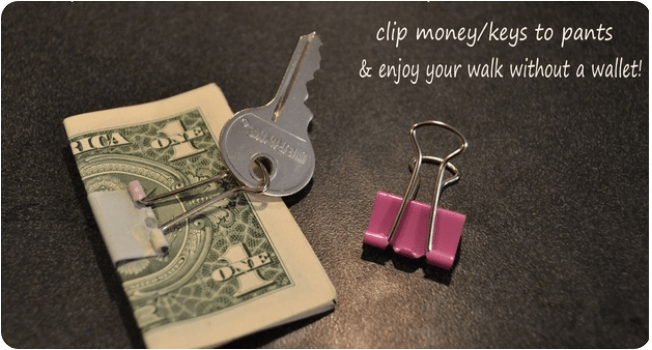 Use paper clips to pin money, cash and keys to yourself when you don’t want to carry a wallet. 44. Carry an empty bottle with you at airports. 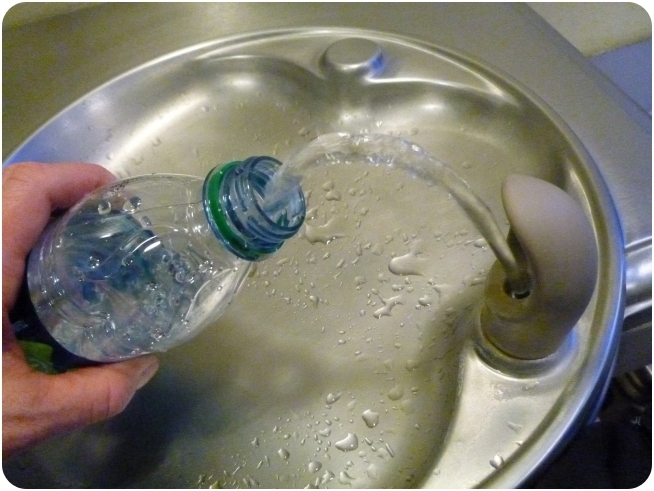 After security checks, use it to fill water from the water fountain. 45. 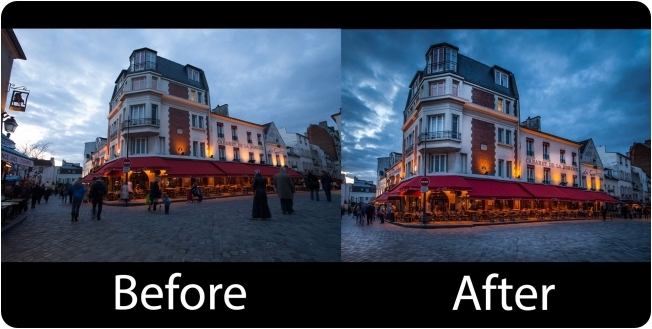 Neat trick to erase tourists from photos. Choose “median.” You’ll get a clean, tourist-free shot! 46. 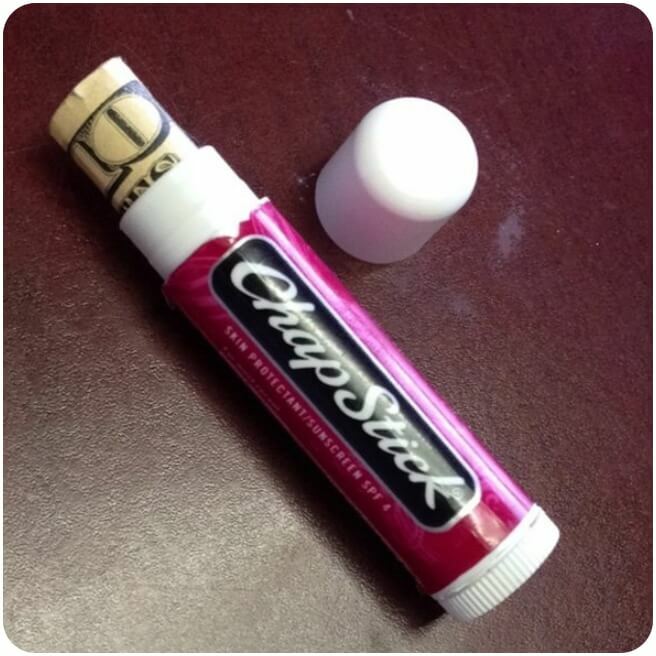 Use an empty Chapstick to save emergency cash discreetly. 47. Put as many of your valuables into your backpack or suitcase as you can when going through security. It’ll save you heaps of time on the other side. 48. 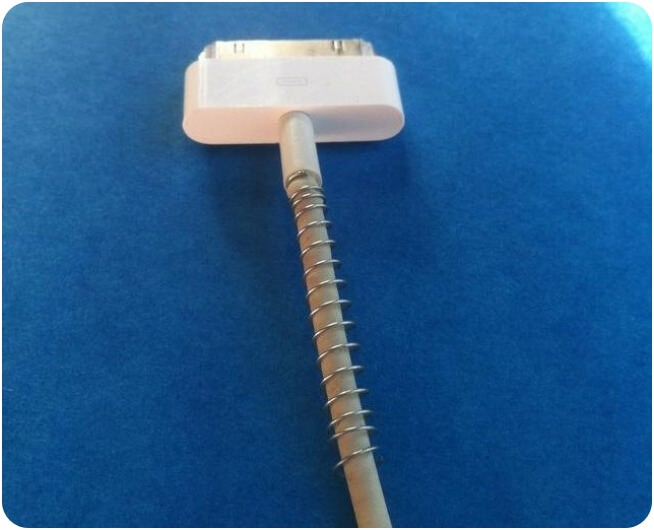 Use a spring from an old pen to keep your charger/iPhone cords from bending and breaking. 49. 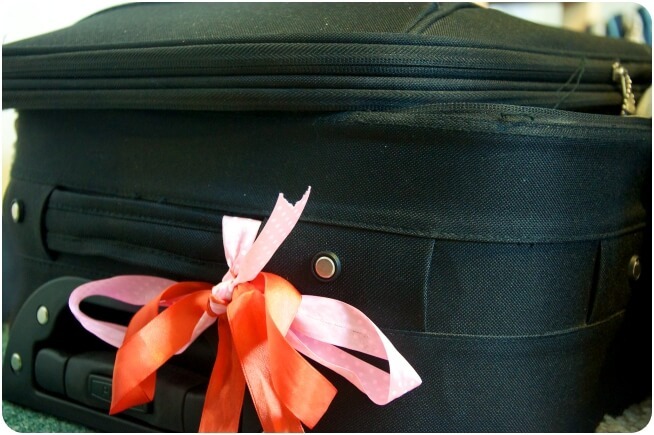 Tie a small, brightly-colored ribbon to your baggage, so you can easily spot it when picking it up from baggage claim. 50. 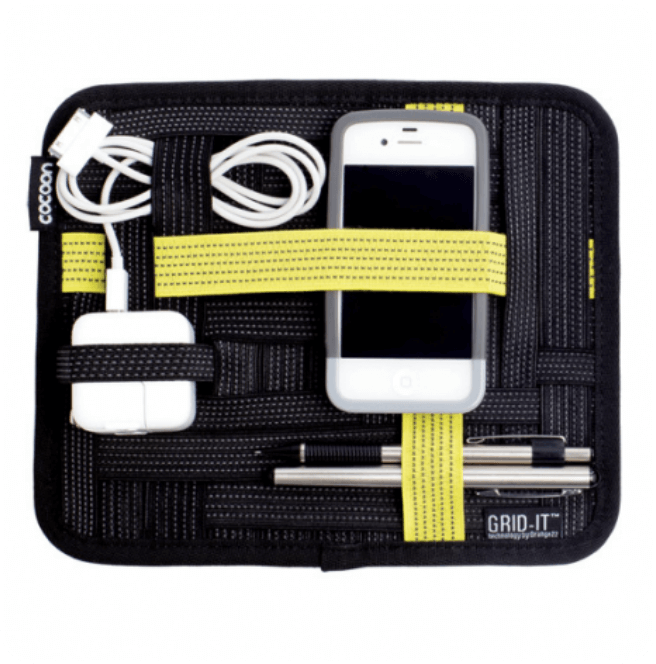 Get a travel organizer to carry all the little things like chargers and pens together, without them getting lost at the bottom of your bag. 51. 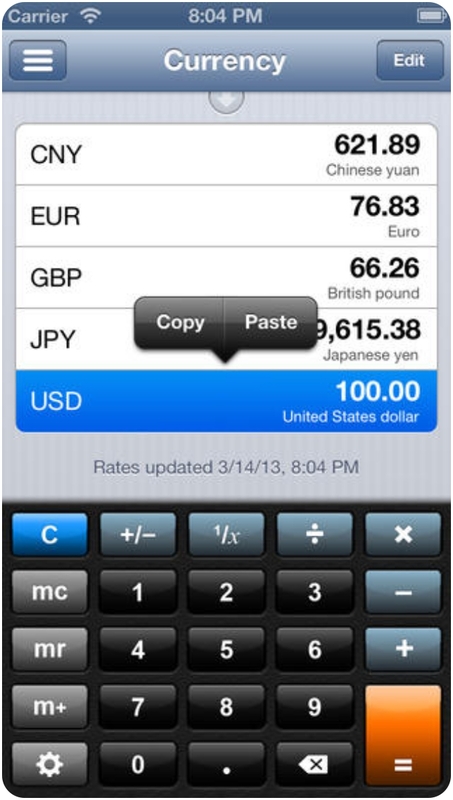 While traveling internationally, download a currency converter app before travel so you can easily check the currency rates on arrival. 52. 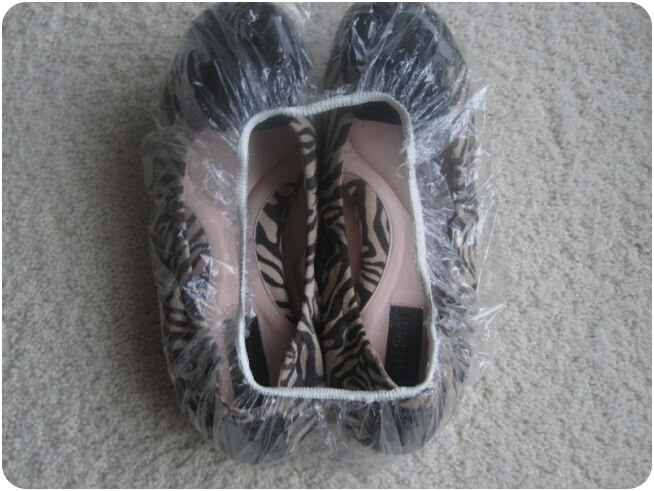 Use shower caps to pack your shoes. This helps keep the other items in your suitcase from getting soiled. 53. Plan well when buying tickets. Here is an infographic that shows when is the right time to book airline tickets. 54. 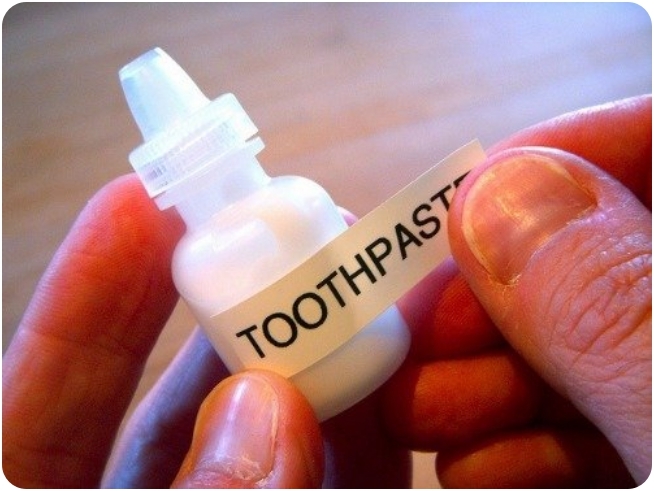 Pack essentials like toothpaste into small labeled bottles. 55. 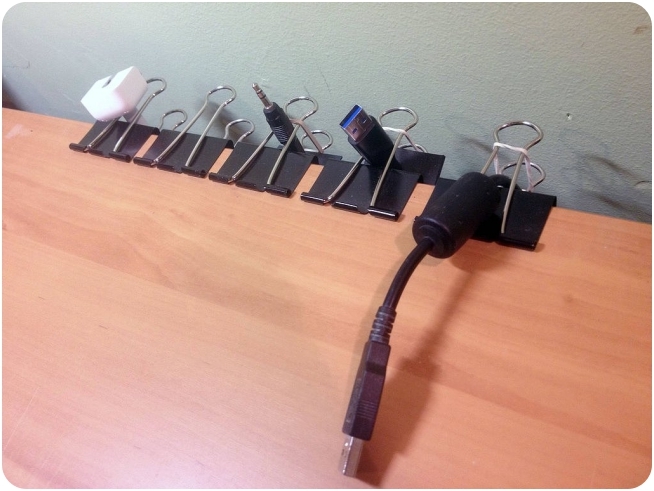 Use paper clips to arrange your cables and cords while working on the laptop traveling. 56. 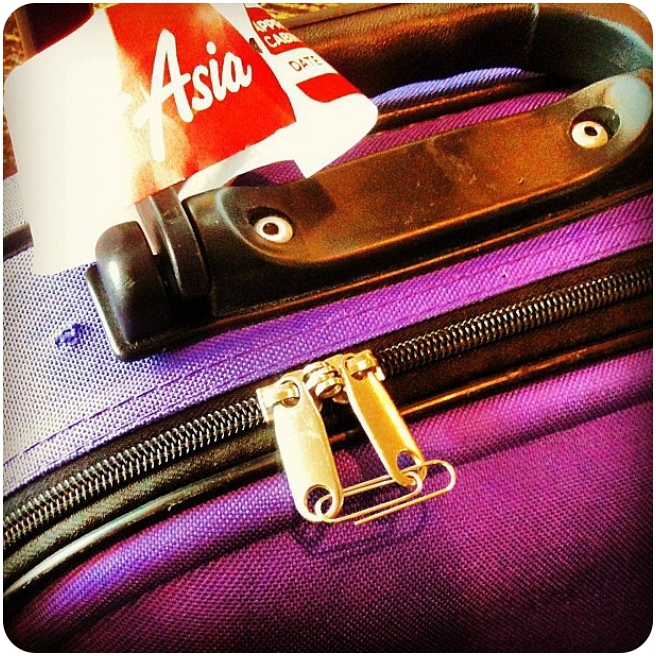 Use paper clips to lock your baggage. 57. Pack your jackets inside out to prevent wrinkles. 58. 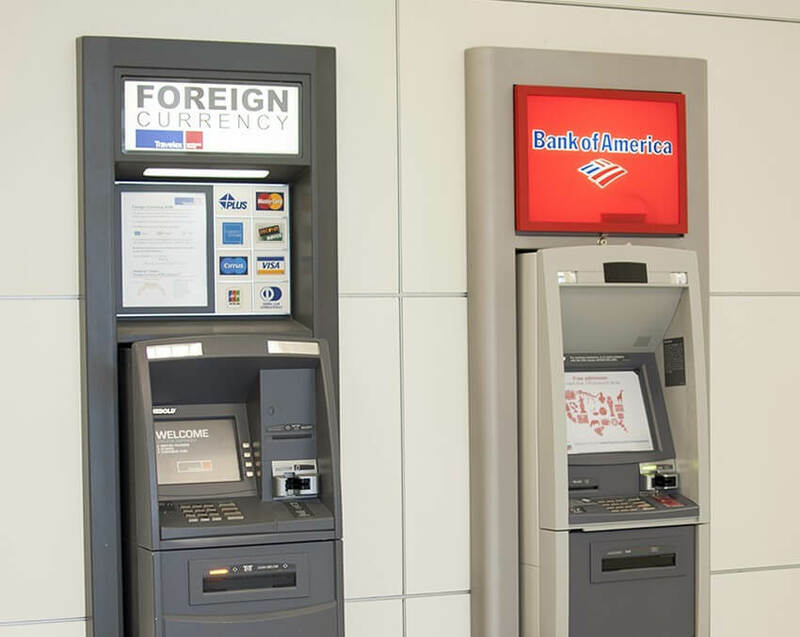 Use ATMs to get local currency. They have often lesser exchange rates than airport currency exchanges. 59. 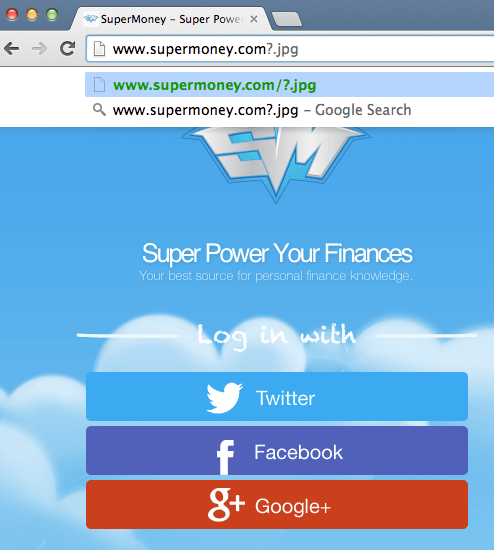 Bypass WiFi at airports by adding “?.jpg” to any URLs. 60. 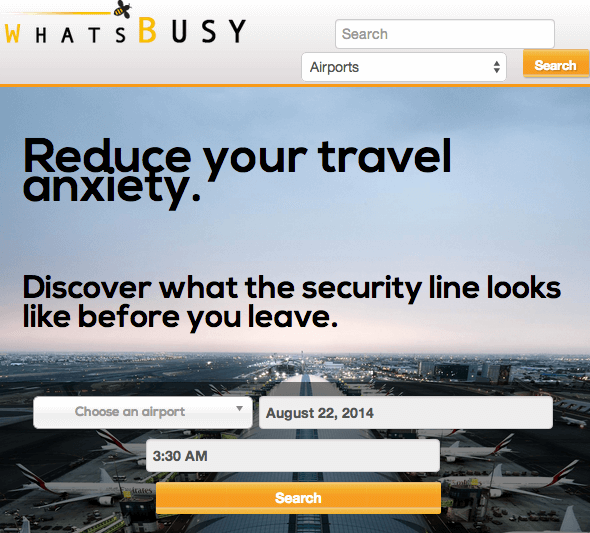 Find out which security lines are busy with this app. Whatsbusy shows which security lines at the airport are busy. Avoid busy lines to save time.